Derrick Lee Vasquez, 34, photo courtesy of LCSO. Lee County deputies arrested a 34-year-old man for shooting a dog in August. 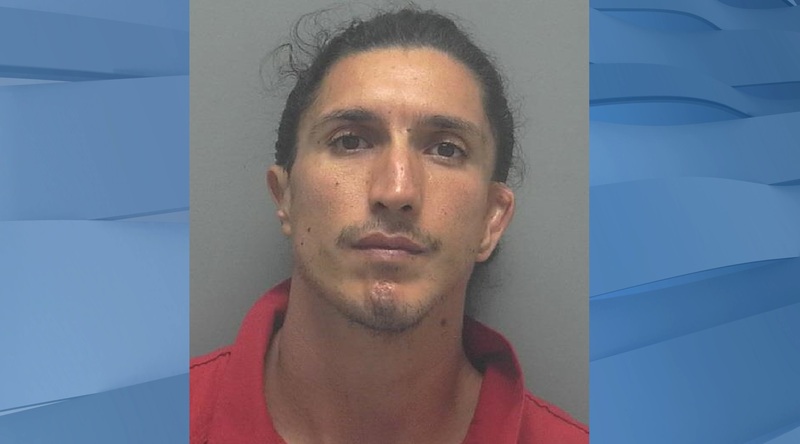 Derrick Lee Vasquez, 34, was arrested at his house in Lehigh Acres Tuesday afternoon. Detectives were able to identify Vasquez during an investigation after a neighbor on Longbow Lane saw a dog swimming towards him after hearing gunshots. The female pit bull suffered multiple gunshot wounds and was attempting to swim to safety. 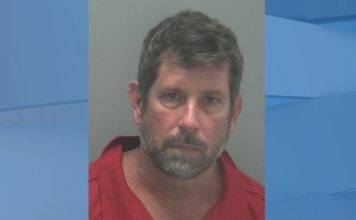 According to a initial report on the August 15, incident the neighbor said he saw a man, approximately 25 to 35 years of age, wearing a black shirt and jeans. The witness said the suspect was standing on the other side of the canal and said he shot the dog because it allegedly bit his son. Deputies have not confirmed whether anyone was bitten. The dog was placed on the towel and carried, by deputies, to the roadside. Lee County Domestic Animal Services arrived quickly and began caring for the wounded animal. Photo courtesy of the Lee County Sheriff’s Office. Despite being struck twice and thanks to the care provided by Domestic Animal Services, the three-year-old dog survived. 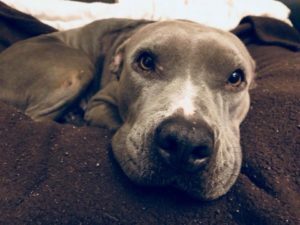 She is currently thriving at Big Hearts for Big Dogs Rescue. Vasquez was arrested for causing cruelty/pain and suffering to an animal and is in the custody of the Lee County Sheriff’s Office.